Rats also lack gall bladders, and human and rat digestive enzymes differ, and yet, millions of laboratory studies based upon rat research have provided the foundation for nutritional advice dispensed by most American physicians. Many claim that chimpanzees are man's closest relatives, but twenty years before the polio vaccine was approved for human use, a group of experimental chimpanzees treated with polio vaccine died. Ask the experimenters why they experiment on animals, and the answer is: "Because the animals are like us." Ask them why it is morally OK to experiment on animals, and the answer is: "Because the animals are not like us'. 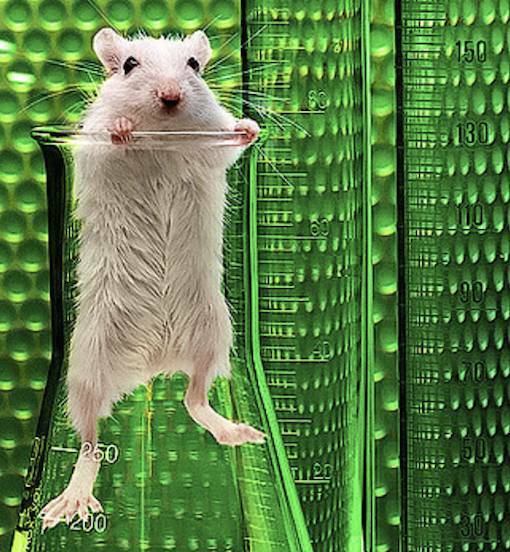 Animal experimentation rests on a logical contradiction. - Professor Charles R. Magel. Results from animal tests are not transferable between species, and therefore cannot guarantee product safety for humans...In reality these tests do not provide protection for consumers from unsafe products, but rather they are used to protect corporations from legal liability. Why is it that the North Carolina medical school has a Center for Alcohol Studies in Chapel Hill in which they get albino (Wistar) rats drunk, restrain and torture them, and then attempt to convince the scientific community that age-related anxiety-like rat behavior has any relevance to human behavior? It is ethically irresponsible and rationally futile to justify experiments upon laboratory animals. All mammals feel pain, and non-human organs and systems are quite different from the human variety. Results from animal studies should be rejected, particularly rat research. Half of the cancers rats get, mice do not get. Half of the cancers mice get, rats do not get. Since data from one furry long-tailed rodent cannot be applied to another, how in the name of logic and the spirit of reason can humans arbitrarily apply experimental animal research results to non-humans? Rats also lack gall bladders, and human and rat digestive enzymes differ, and yet, millions of laboratory studies based upon rat research have provided the foundation for nutritional advice dispensed by most American physicians. Many claim that chimpanzees are man's closest relatives, but twenty years before the polio vaccine was approved for human use, a group of experimental chimpanzees treated with polio vaccine died. Clearly, even chimpanzee research exists as a betrayal to both non-human primates and humans, who rely upon unreliable chimpanzee data. When it comes right down to it, the only time we really learn a scientific truth from an animal laboratory experiment is when the subjects are human. At least people have the ability to make volitional choices and volunteer for such research, right? The history of cancer research has been a history of curing cancer in the mouse. We have cured mice of cancer for decades, and it simply did not work in humans. A drug is a substance that, when injected into a rat, produces a scientific paper. - Dr. Toni Jefferys, PhD.